2. Click on Pay an Electronic invoice and type in your Remita Retrieval Reference (RRR) number and click on continue. 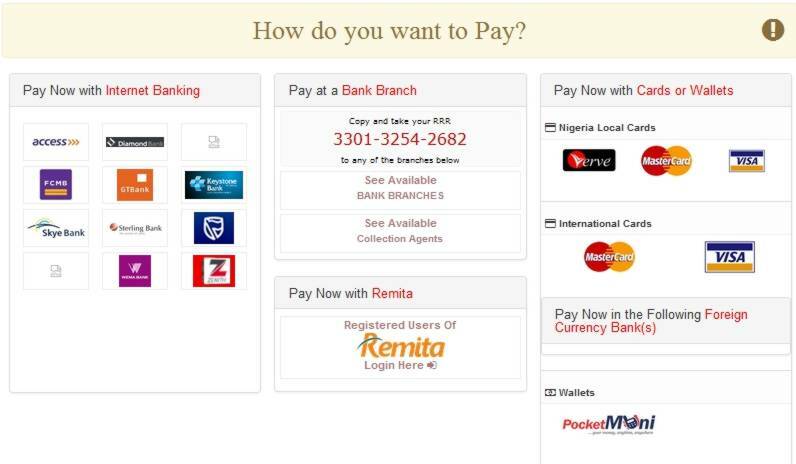 – Enter your correct card detail to make payment.